Hellenic Paralympic Team is in our Hearts! These unique athletes are the best example of what willpower, strength and effort truly mean. They are a source of inspiration for each and every one of us, and are actual winners before even competing. 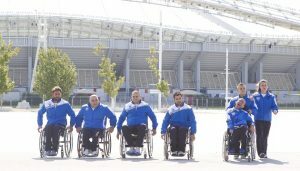 True to the spirit and principles of Corporate Social Responsibility, but also geared towards sending a different kind of message to all Greeks, HYGEIA Group became the proud sponsor of the Greek Paralympic Team that participated in the London Paralympic Games (29/08/2012-09/09/2012). The people of HYGEIA Group had the pleasure and honor of meeting the athletes, supporting their efforts and assisting them in any way they could on their path to distinctions. HYGEIA Group offered medical services (medical and diagnostic tests) to the athletes who participated in the Paralympic Games, donated the amount of €35,000 for sporting equipment and individually sponsored seven athletes. These seven athletes collected four medals, including the only Greek gold medal (Boccia). Supporting our Athletes at the 2016 Paralympic Games! 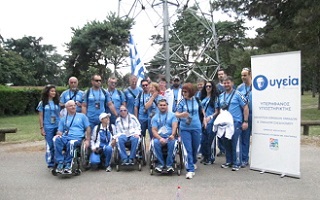 HYGEIA Group actively supported the individual and team athletes of the Hellenic Sports Federation for Persons with Disabilities, with the aim assisting them in their preparations for the Rio 2016 Paralympic Games in Brazil. 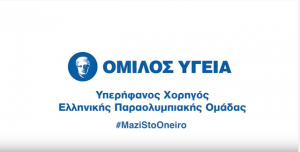 To this end, it offered free diagnostic tests to these athletes, and covering medical consultations at all HYGEIA Group hospitals and associated medical centers throughout Greece. 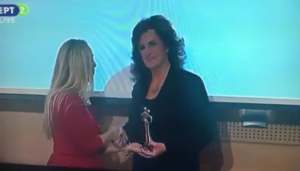 HYGEIA Hospital has been awarded for its continuous support and contribution to the members of the Hellenic Sports Federation for Persons with Disabilities, in an event honoring the 2016 Greek Paralympic Team to Rio. HYGEIA had also stood by the team during the 2012 Paralympic Games in London. 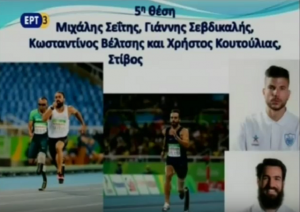 The efforts expended by HYGEIA to assist these athletes have also been recognized and awarded by the National Paralympic Committee of Greece both in 2014 and in 2015. These awards are a great honor for all of us at HYGEIA Group. We are proud to stand by and support these athletes in their dreams. They more than anyone else understand the true meaning of health, willpower, strength and determination.